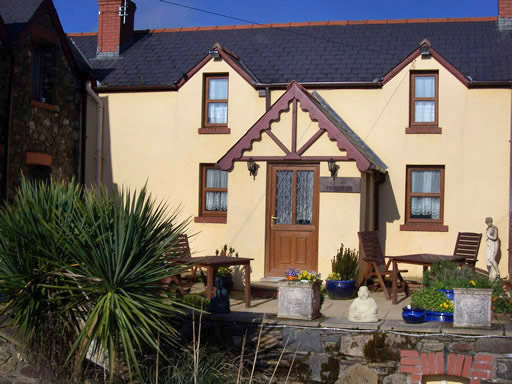 Ty Hendre is a delightful Pembrokeshire cottage set in five acres of grounds is situated approximately two miles from Fishguard, a small town with its wealth of galleries, shops and restaurants and the port for ferry crossings to Rosslare. The owners, who live next door, have created a wonderful conservation area within the grounds with a landscaped area with lake. CHILDREN MUST BE ACCOMPANIED BY AN ADULT AT ALL TIMES IN THIS AREA. 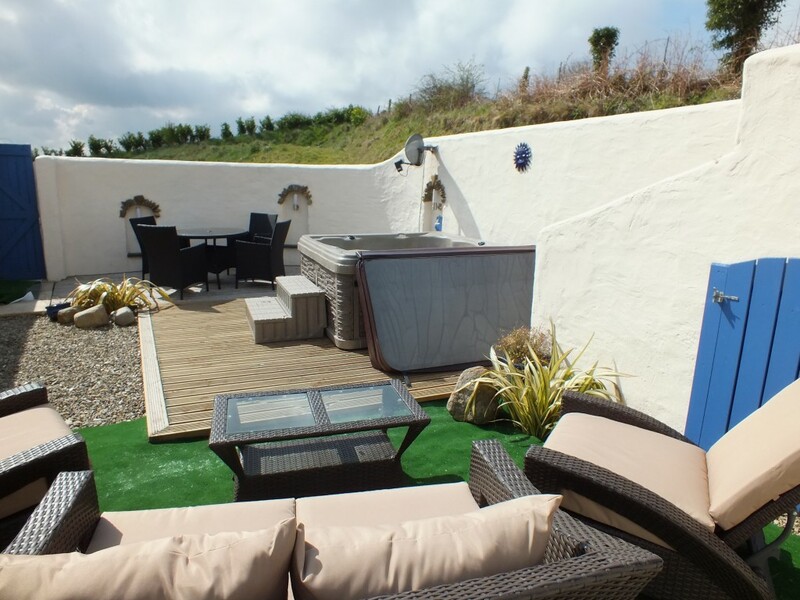 There is also a sunny small secluded garden with a hot tub, BBQ, dining table and 4 whicker chairs and sun loungers. 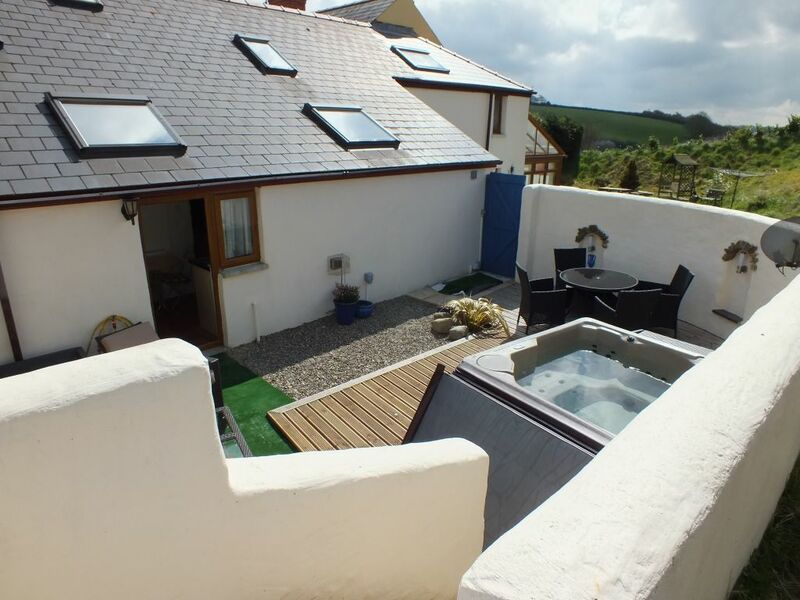 The coast path of North Pembrokeshire, its delightful beaches and Strumble Head peninsula, which is a superb vantage point for bird watching, seals and porpoises is just a short drive away. 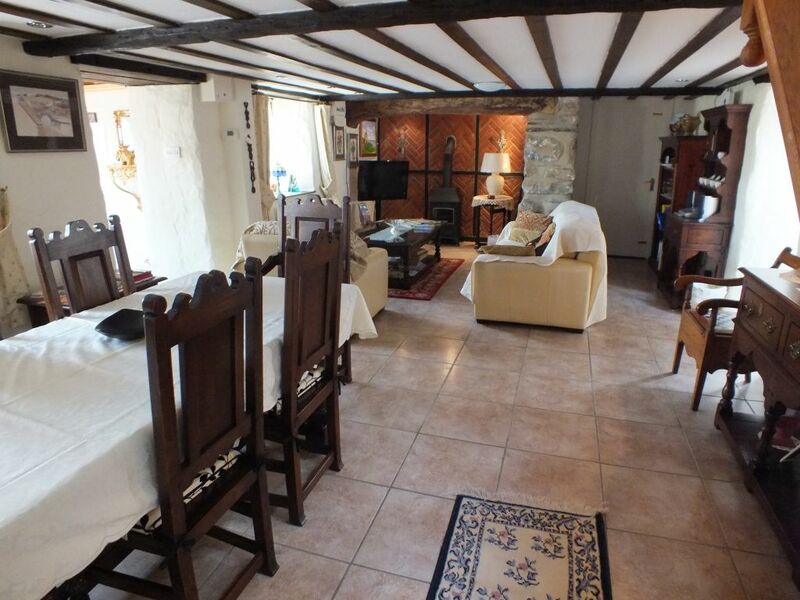 You enter Ty Hendre via a few steps to the porch and through to the spacious dining room which has tiled floor and a low six foot beamed ceiling. There is a large dining table with high backed chairs. The lounge area has a large inglenook fireplace with gas fired coal effect stove. Leather sofa and chairs make this a very cosy, comfortable area to relax. TV, video/DVD, stereo CD/radio. A step leads you into the kitchen, which has a tiled floor, period dresser and a range of fully fitted shaker style units. 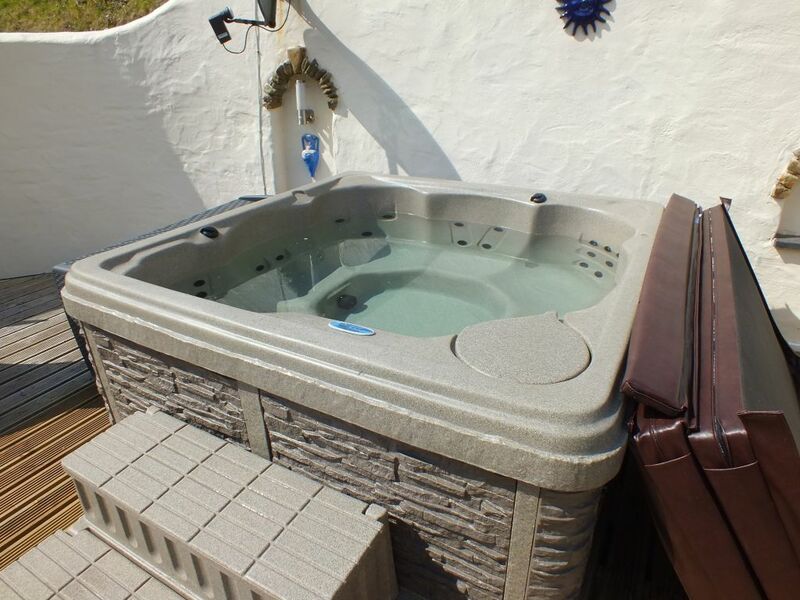 The kitchen is fitted with a gas hob and oven, automatic washing machine, dishwasher, fridge, freezer, microwave oven and breakfast table and chairs. 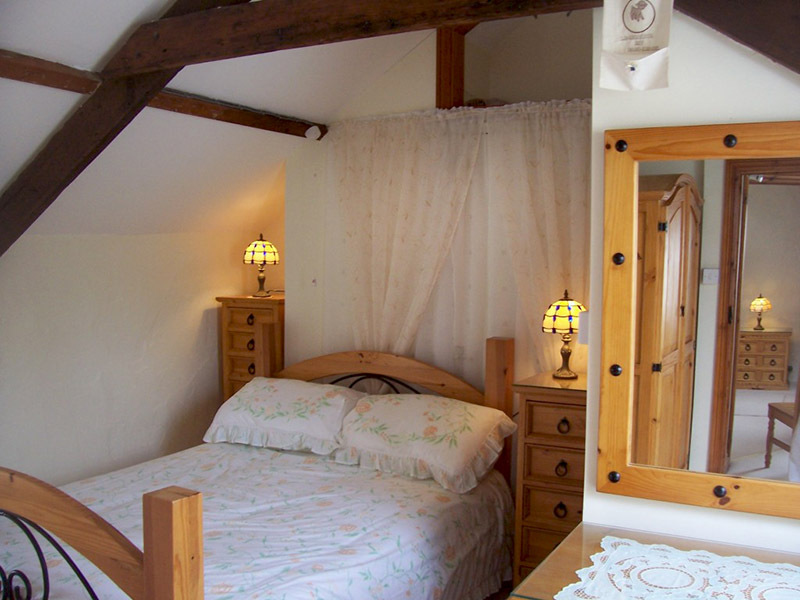 Upstairs there are two double bedrooms with en-suite shower rooms. 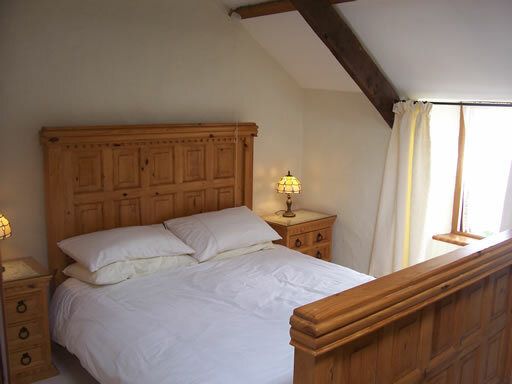 Bedroom 1 has a thickly carpeted floor, king sized bed and matching pine furniture. 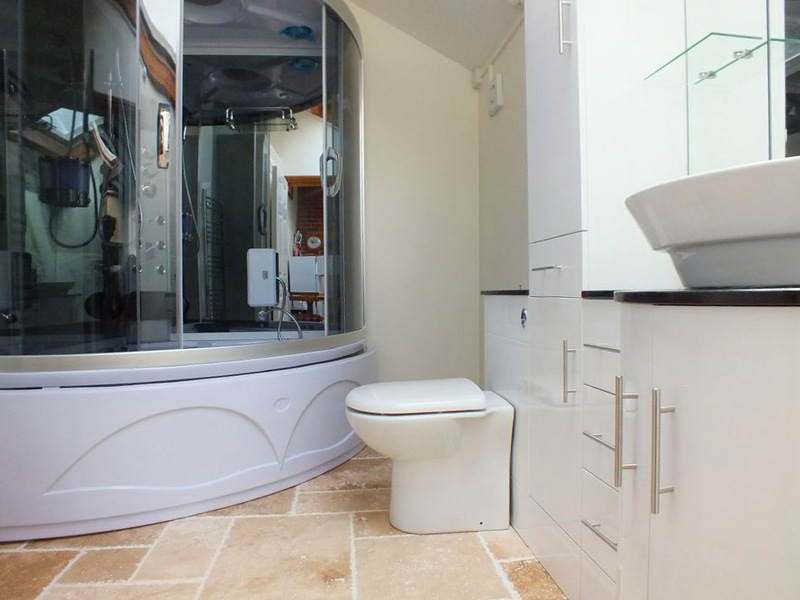 The en-suite shower room has a shower cubicle, WC and wash hand basin. Bedroom 2 has a double bed with co-ordinating furniture and thick carpet. The shower room has a shower cubicle, WC and wash hand basin. Downstairs bathroom is complete with a Portland steam shower and whirlpool bath.Pretty cotton bed linen is provided for the beds which both have duvets. 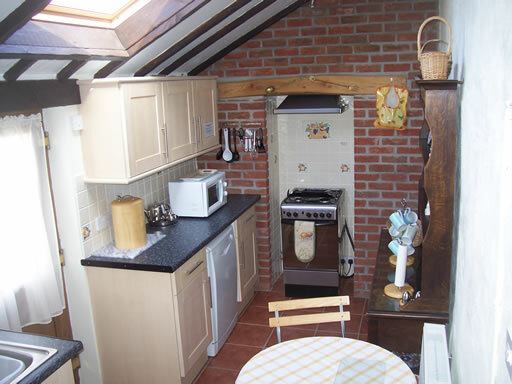 There is full oil fired central heating throughout the cottage. 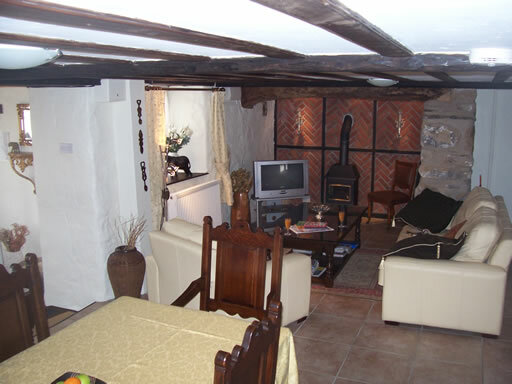 The cottage has been tastefully furnished throughout.